Once you have Spire installed on the system you will need to modify both the company and user permissions in accordance with your specific internal requirements. Begin with the Company Settings. Once you have clicked on Company Settings in the navigation menu a window will open where you will perform your setting modifications. 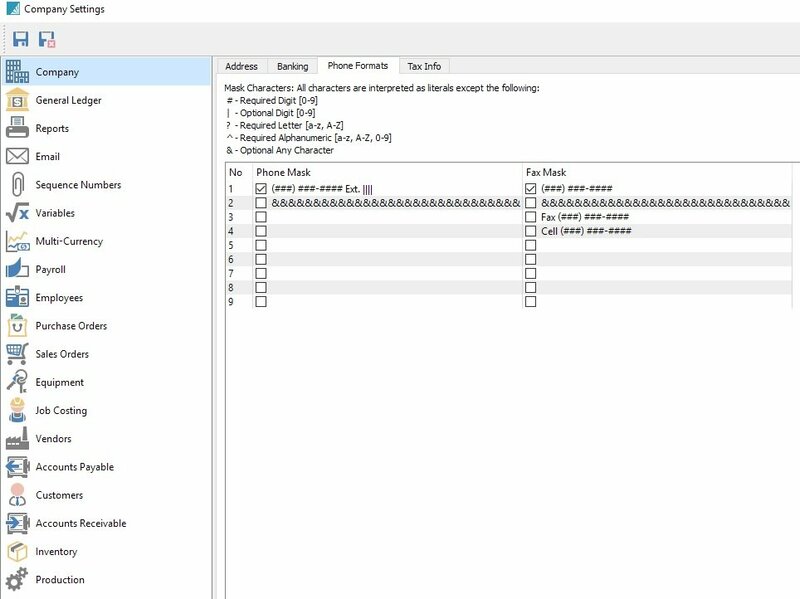 This is the main Company Settings window. You will notice a new navigation menu down the left hand side of this window. Each of the menu items have their own section that you can modify based on your business requirements. The first section to complete will be under the Company section. Here you will enter all of your company information including address, primary and secondary contacts, phone formats and tax information. 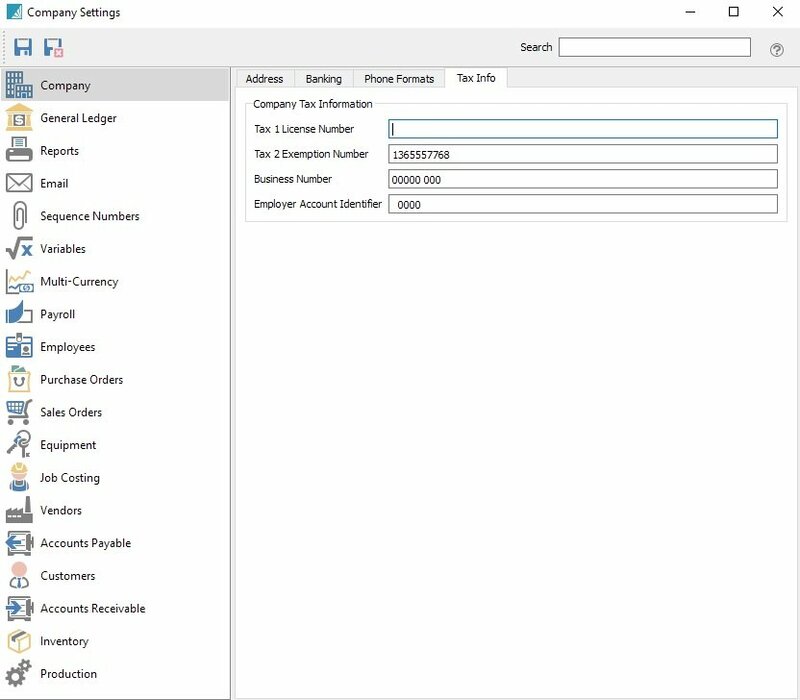 The Billing tab is where you enter your banking information to be used with payroll direct deposit and accounts payable EFT. 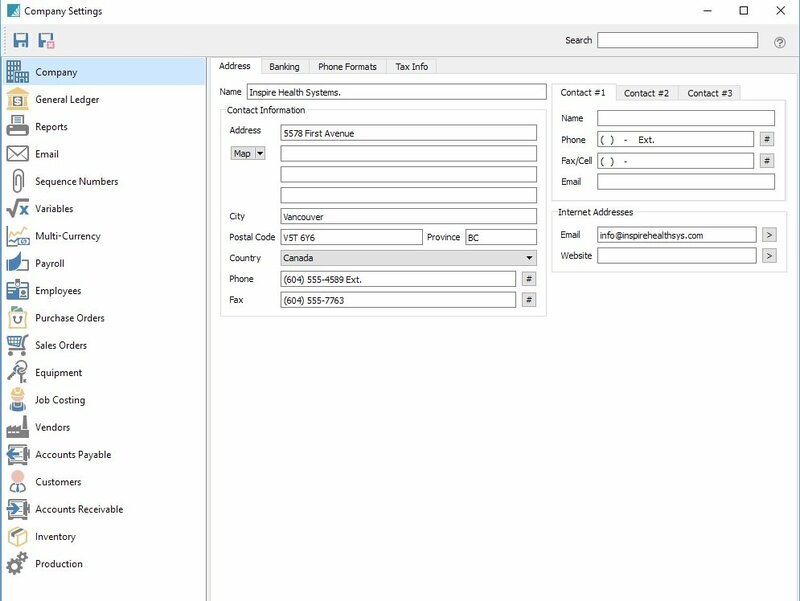 The Phone Format tab is where you decide what format you want your phone numbers to be in. Enter all of your company tax information including the taxes you charge by default.